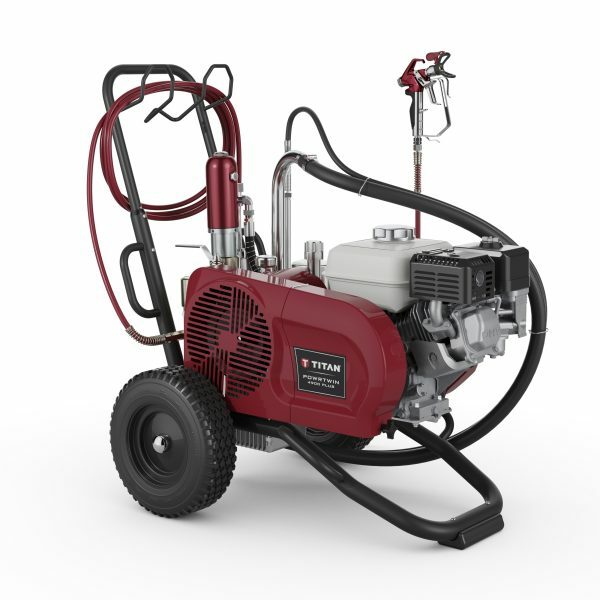 Designed and built for contractors who are serious about completing large scale painting projects quickly and profitably. 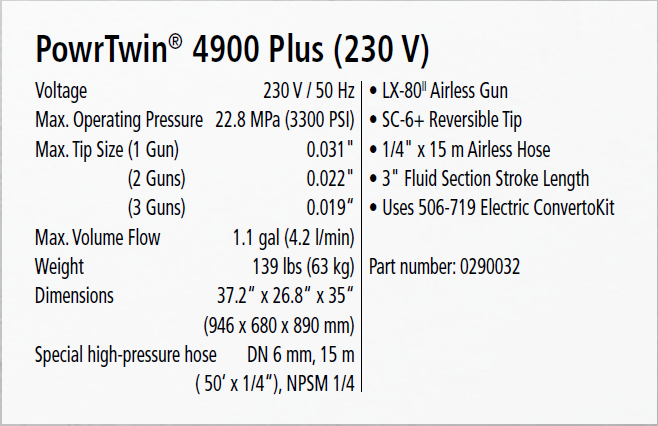 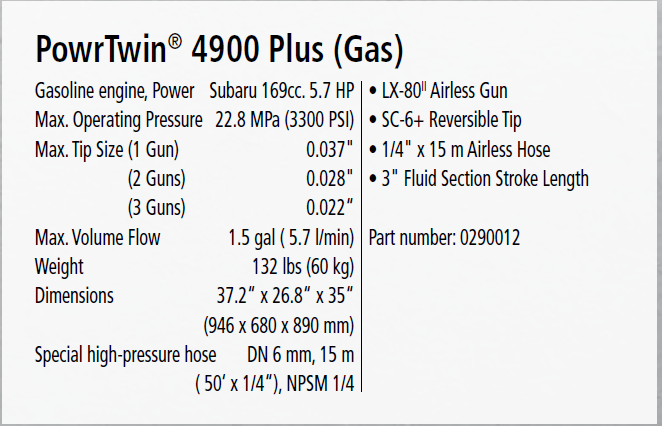 PowrTwin 4900 Plus is ideal for professionals who want the slow-stroking power and long-term durability only Titan hydraulic piston sprayers offer. 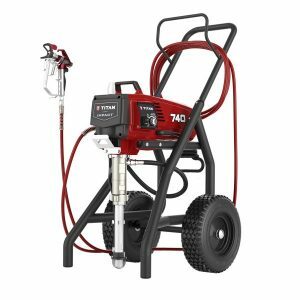 Since their introduction almost half a century ago, Titan PowrTwin hydraulic piston sprayers have a well-earned reputation for durability and dependability among serious contractors for large scale residential, commercial and industrial applications and multi-gun usage.These high-performance, heavy-duty paint sprayers use long-stroke, slow-cycling hydraulic piston technology for economical operation and dependable, long-term spraying. 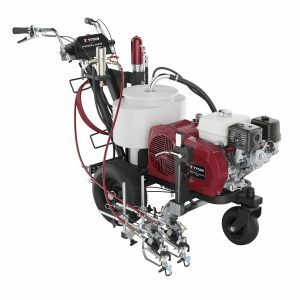 The sprayers of choice for serious contractors with large-scale jobs.